Is your beauty routine not as effective as you would like it to be? When it comes to beauty, it seems like everyone has an opinion. But when the advice comes from Dr Harold Lancer himself, respected dermatologist and founder of skincare brand, Lancer, you sit up and listen. 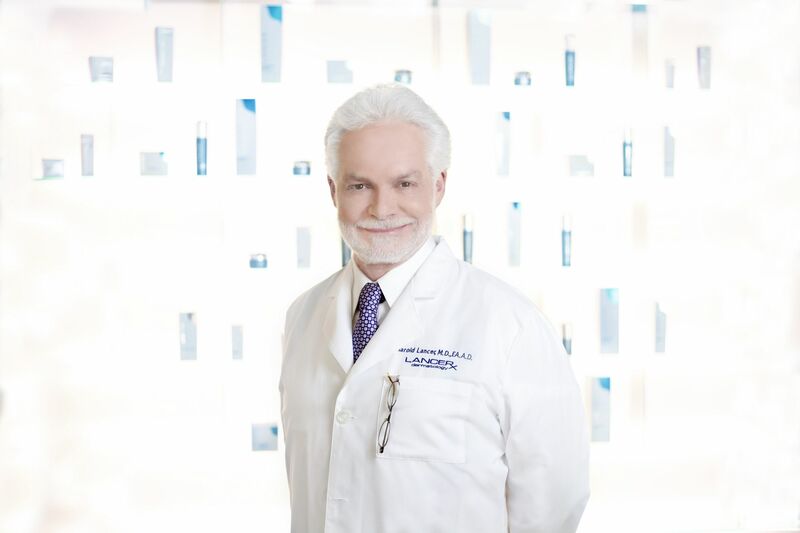 As the go-to skin doctor for celebs like Jennifer Lopez, Kim Kardashian-West and Ryan Seacrest, Dr Lancer has been in the business since 1983. First starting out as a physician and surgeon, he specialised in dermatology and gained recognition for his laser work and the removal of scars caused by accidents, operations, or cosmetic surgery. Ahead of the launch of his namesake brand at Escentials in Singapore, we visited his clinic on Rodeo Drive in Los Angeles, and asked the good doctor what he really thinks is the secret to great skin. His answers might just surprise you. "The original concept in the world of home care has always been cleaning the skin, using a toner and then a moisturiser, and slowly, things like glycolic acids and vitamin C were added on top of that. But skin just doesn't respond naturally to that regime. So in the '80s, I developed The Method: Polish, The Method: Cleanse and The Method: Nourish, based on the true biology of how skin repairs and functions. You always have to do the polish and rinse, cleanse and rinse, and nourish the skin first, before you can get it to respond to any additional treatments on top of that. There's a programme to follow when it comes to skincare." "The best piece of advice I can give is to have a board-certified dermatologist recommend a (skincare) programme for you. But, never get a treatment—a physical one—on your first visit to a doctor. At a legitimate medical office, you’ll go in and you’ll say, this is what concerns me; the physician will look at you, evaluate you, and give you advice. Go home and think about it first before deciding. That’s very important. Another piece of advice is to stick with your programme. Medical rehabilitation of the skin should always come first, so don’t jump to procedures. If a procedure is the first thing you do, you will have a poor result. For example, if you go into a medispa, and after your first IPL (Intense Pulsed Light) treatment, you take on a package which sounds like a bargain. But if you get burned, then you'll have a real headache. Or, you finish the five treatments, and then they say well, you need another five more and another few more—there’s no plan. There’s no menu of where this is going." "High-quality products don’t do well with low-quality products. I’ll give you an example: If someone who uses the The Method: Polish and The Method: Nourish, and decides to use it with an inexpensive cleanser, it ruins the chemistry benefit of the Polish and the Nourish. And so, for the few dollars that you saved on a cheap cleanser, the value of the entire skincare regime is reduced. It’s no bargain. It’s sort of like cooking. When you use cheaper ingredients for part of the salad, you ruin the whole meal. I've seen women who have used inexpensive makeup products, come in with a sty in their eye, or pimples on their eyelids. These products may clog up your skin, sweat and oil glands, and might even cause your eyelashes to fall out—and it can take up to two years for eyelashes to grow back! There's an English expression that describes this: Penny wise, pound foolish." "Anti-ageing skincare should start in your early twenties. When you're young, your body is actively accumulating and building, so if a 15-year-old gets hurt, the repair mechanism is really quick. But after the age of 20, your body loses its reparative ability by up to one per cent each year. (One of the trends I've noticed) is that the younger generation is very aware and in tune with the idea of prevention. They're willing to spend on skincare because they are very anti-pain and against the idea of having to wait for scars (from lasers or surgery) to heal. It ruins their social life! So, they’ll use the home care and they’re very smart at maintaining the programme. They’re not lazy when it comes to this." "Every dermatologist always say, use sunscreen. That’s ridiculously boring, but what you need to know is that it's only part of the solution. Honestly, sunscreen needs to be applied every two hours to be useful, but nobody in the world really does that. Sun avoidance is just as important. So, use a sunscreen daily, but when you have to be in the light, reapply. For the rest of the day? Stay out of the sun's way. Wherever there's light, there’s bound to be a discolouration (effect on skin). Even if you have a dinner party at night, wear sunscreen under your makeup. If you don’t, the lights in the room will trigger discolouration!"